Rockingham Planning Commission meetings take place at 6:30 p.m. on the fourth Thursday of each month in the third floor conference room at the Town Offices at 7 Square in Bellows Falls. Meeting dates will be adjusted to avoid holiday weeks. For more information, contact Town Planner Charles Wise at 802-463-1229 or planning@rockbf.org. 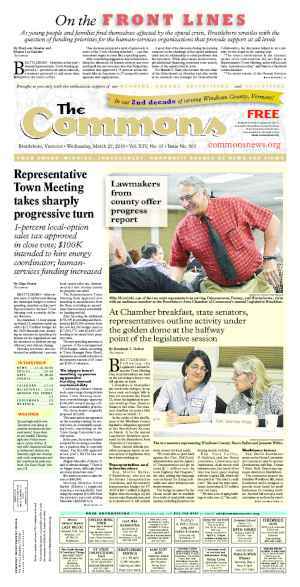 ROCKINGHAM—The Planning Commission is in the beginning stages of updating the Rockingham Town Plan. 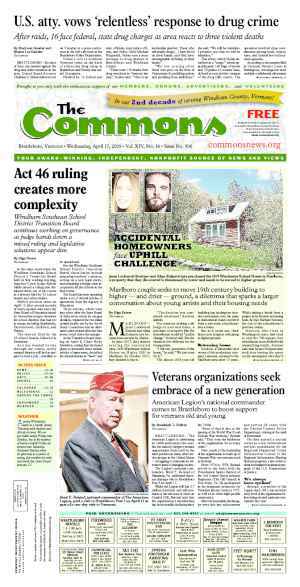 To help them along, the Vermont Department of Housing and Community Development recently awarded the town just over $12,000 in municipal planning grants. A Town Plan gives municipal officials a set of expressed recommendations to guide them in such areas as land use, public services such as communications and transportation, environmental protection, economic development, and land conservation. 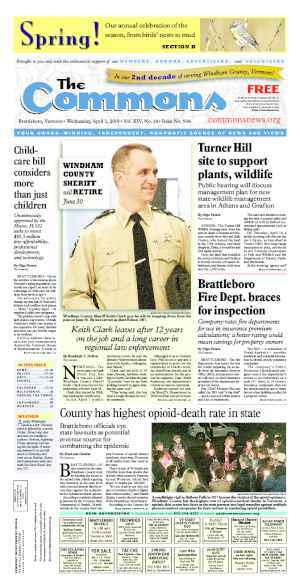 In Rockingham, as in most towns, the Planning Commission is responsible for writing the document, typically with the help of a consulting firm, such as the Windham Regional Commission. The municipal planning grant will help pay the firm’s fees. Through a series of public meetings, the seven volunteer Planning Commissioners will gather input from residents on what should go into the document. 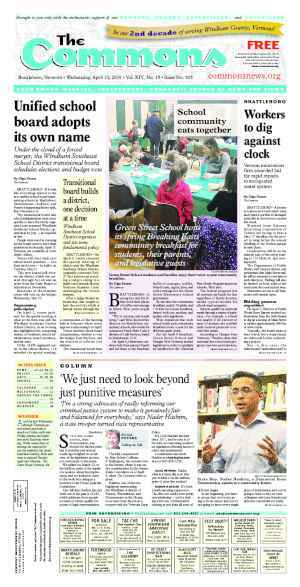 Once the Town Plan’s draft is finalized, the Selectboard approves it. Then, town officials can use it to rewrite the zoning bylaws. The history of Rockingham’s having a Town Plan goes back to at least the 1970s, said Town Planner Charles Wise. The last time Rockingham updated its Town Plan was in 2011. Since then, there was a technical update only to incorporate the Bellows Falls downtown village designation. Now, according to state statute, it’s time for a comprehensive update. This process will take two years. “We’re doing a complete rewrite,” Wise said, adding that there are new state requirements about what must go in the document, including some chapters on energy. Also part of the revised town plan is a health and human services chapter, and Wise said the planning commission is working with local social service agencies on this. Planning Commission Chair Renee Vondle told The Commons the chapter on housing has to incorporate a wide view. “It has to take into consideration what we can find grants for, such as to help the housing blight by taking down derelict buildings,” she said. “We have to look at population density” in the village of Bellows Falls, “and determine whether more apartments will create issues,” said Planning Commissioner Deborah Wright. Wise noted population density can exacerbate flooding and storm-water runoff, especially with more paved driveways and parking lots. Although Wise is working closely with the Planning Commissioners on the update, he wanted to make it clear that the document belongs to the townspeople, not to him. “We’re only advancing the citizen-supported municipal goals,” Wise said. “This will be vetted by residents,” he added. Vondle said the creation of the document doesn’t even rest with just the Planning Commissioners. “This isn’t seven people sitting around the table planning the town’s future. We want to know the public’s vision for the town,” she said. The Planning Commissioners are still finalizing the mechanisms by which they will collect public comment. “We’re still working out how to bring people in,” Vondle said. One way is for a resident to become a Planning Commissioner. Vondle noted an upcoming vacancy because a current member is moving. “It’s not just going to be formal public hearings,” Vondle said. It may include work meetings or other platforms, such as an informational website donated by Planning Commissioner Bonnie North.